On Monday, Rayudu was dropped from Team India's 15-member squad for the upcoming ICC World Cup 2019, scheduled to be played in England and Wales. 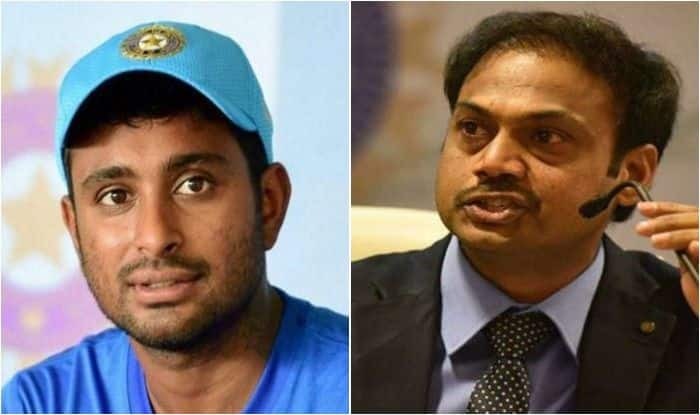 Ambati Rayudu has “ordered 3d glasses” to watch the World Cup, a day after he was pipped by the “three-dimensional” Vijay Shankar in the Indian squad for the showpiece event. All-rounder Shankar was preferred over the 33-year-old Rayudu for the contentious number four spot in India’s World Cup squad. “Just Ordered a new set of 3d glasses to watch the world cup,” Rayudu wrote on his Twitter handle Tuesday. “We did give a few more chances to Rayudu but Vijay Shankar gives three dimensions. He can bat, if the conditions are overcast, he can bowl, plus he is a fielder. We are looking at Vijay Shankar as a No. 4,” chief selector MSK Prasad said Tuesday, justifying his selection. Prasad’s view was seconded by former captain Sunil Gavaskar, who called Shankar a “very handy cricketer”. On the other hand, in his quest to ramp up his limited-overs game, Rayudu had even given up on white ball cricket but he has struggled to be consistent. While he enjoys an average of 47.05 in 55 ODIs, the three failures against Australia hurt him. The batsman was the team’s number four since Asia Cup last year. Between then and the home series against Australia, Rayudu scored one century and four fifties. A 113-ball 90 in New Zealand earlier this year paved the way for India’s victory after they were tottering at one stage. He played only two ODIs during the tour of Australia, but was the highest run-getter for India in the ODIs on the tour of New Zealand, with 190 runs in five innings at an average of 63.33 and a strike rate of 82.25. But the performances were not enough for him to ensure a ticket to the United Kingdom.